The MEVION S250™ provides next-generation proton therapy. Built on the world’s only gantry-mounted proton accelerator, the MEVION S250 delivers a highly stable, uniform proton beam that is simple to deliver. The MEVION S250 has been treating patients since 2013 at multiple treatment sites across the US. 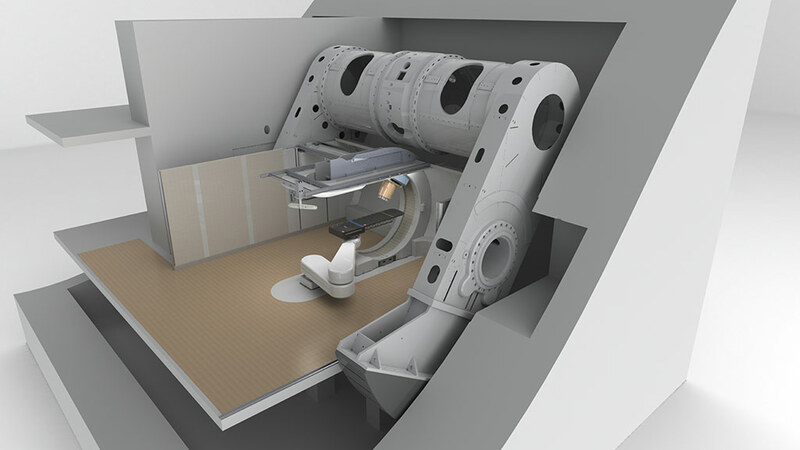 This 3D cutaway shows how the MEVION S250 Series’ 190 degree rotating gantry, with the world’s only gantry mounted proton accelerator, rotates around the patient to allow for precise treatment from every angle with complete four pi (4π) beam access.